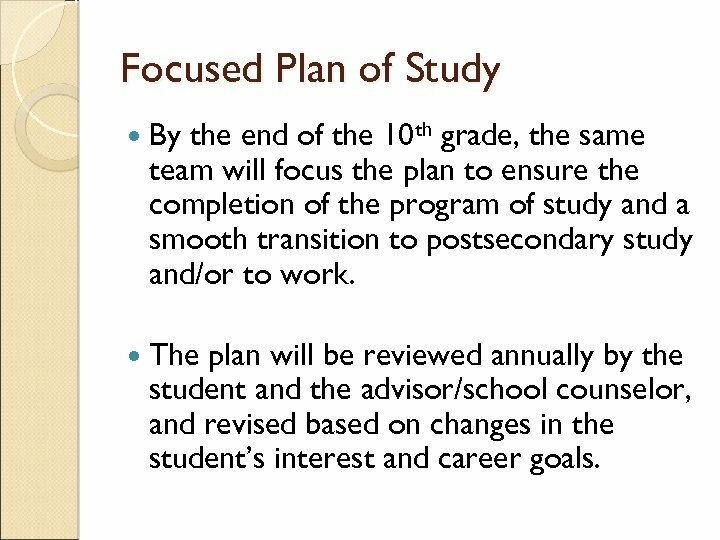 Focused Plan of Study By the end of the 10 th grade, the same team will focus the plan to ensure the completion of the program of study and a smooth transition to postsecondary study and/or to work. 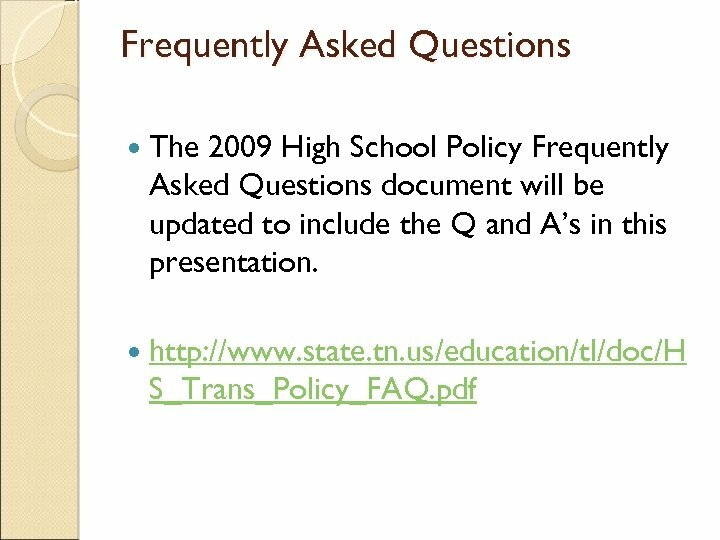 The plan will be reviewed annually by the student and the advisor/school counselor, and revised based on changes in the student’s interest and career goals. 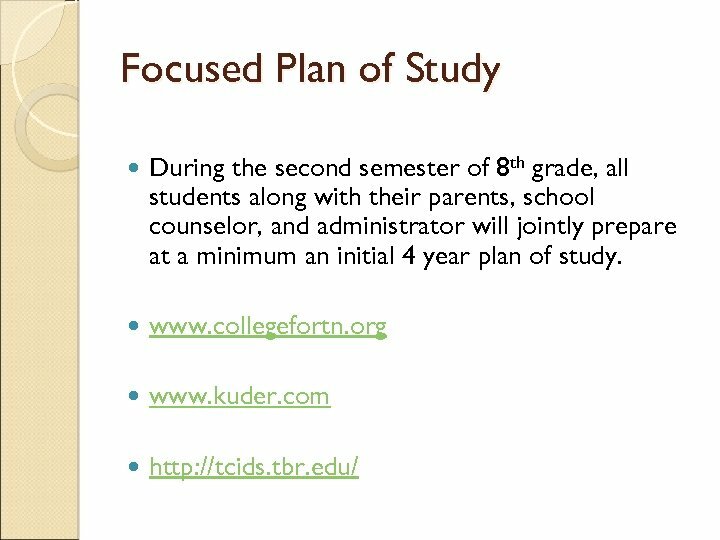 Focused Plan of Study High School and middle grades faculty will collaborate in planning curriculum and the transition between middle grades and high school. 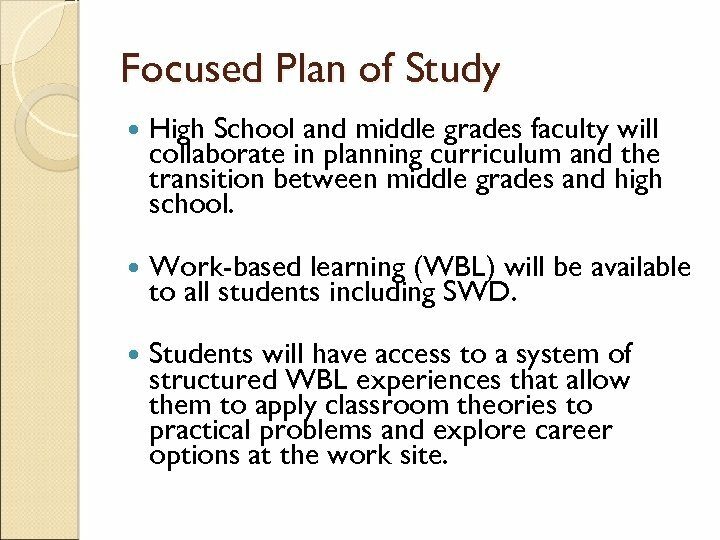 Work-based learning (WBL) will be available to all students including SWD. Students will have access to a system of structured WBL experiences that allow them to apply classroom theories to practical problems and explore career options at the work site. Regular Diploma • • English 4 units Mathematics 4 units Science 3 units Social Studies 3 units Foreign Lang 2 units Fine Arts 1 unit Health, Physical Fitness & Wellness 1. 5 units Personal Finance. 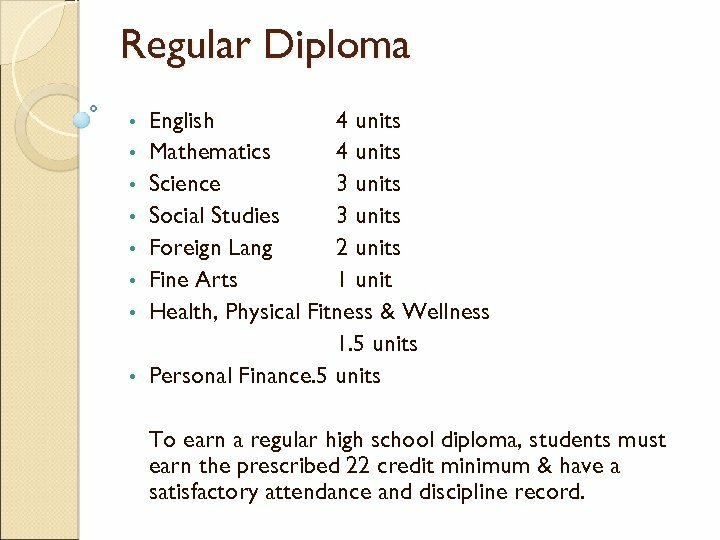 5 units To earn a regular high school diploma, students must earn the prescribed 22 credit minimum & have a satisfactory attendance and discipline record. 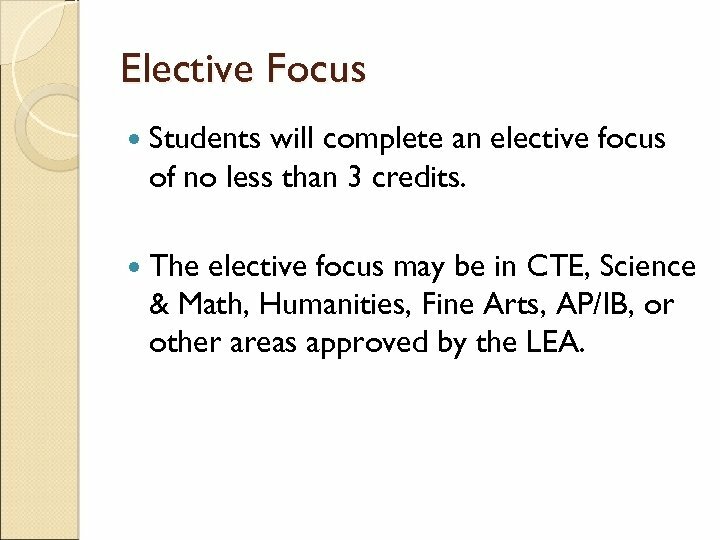 Elective Focus Students will complete an elective focus of no less than 3 credits. 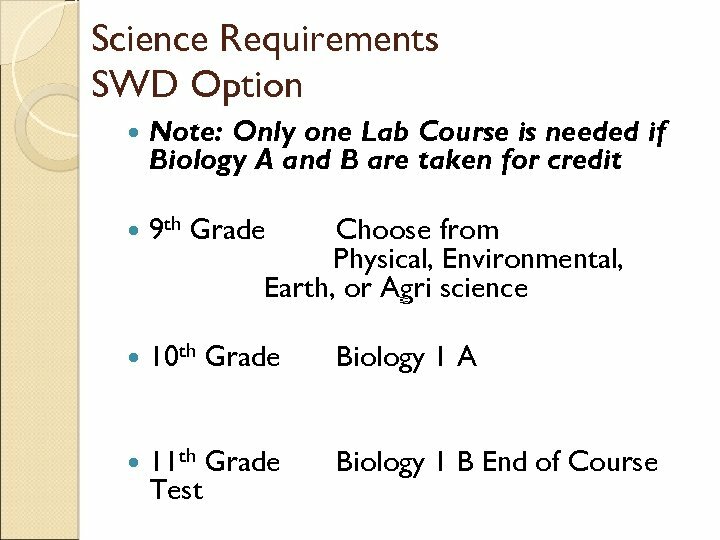 The elective focus may be in CTE, Science & Math, Humanities, Fine Arts, AP/IB, or other areas approved by the LEA. 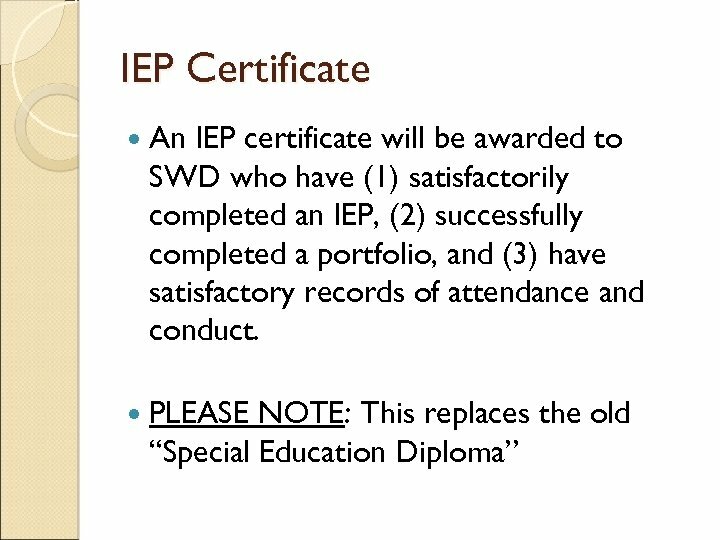 Transition Certificate A Transition Certificate may be awarded to SWD who, at the end of the 4 th year of high school, have failed to earn a regular diploma (22 units of credit) but have satisfactorily completed an IEP, and have satisfactory records of attendance and conduct. 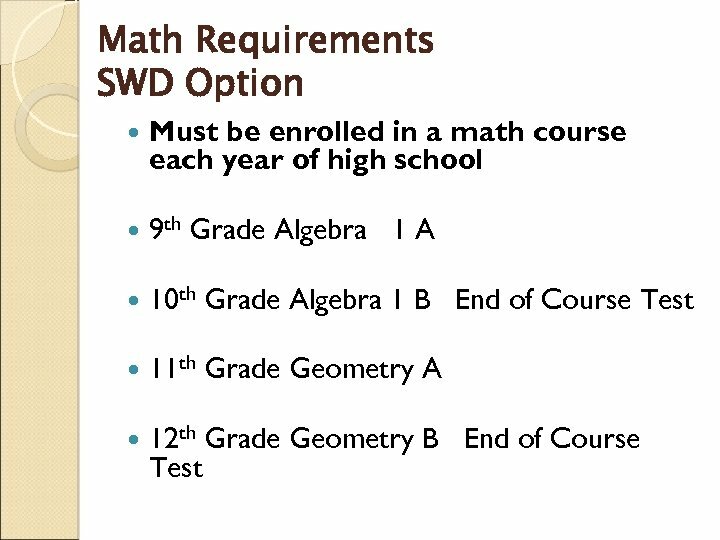 SWD may continue to work towards the high school diploma through the end of the school year in which they turn twenty-two years old. 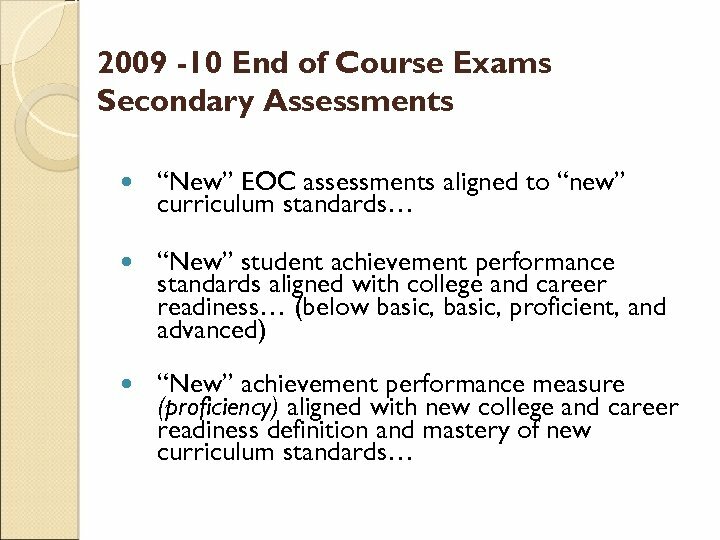 How will the department address deficiencies in preliminary reporting resulting from implementation of A and B courses in both traditional and block scheduling? 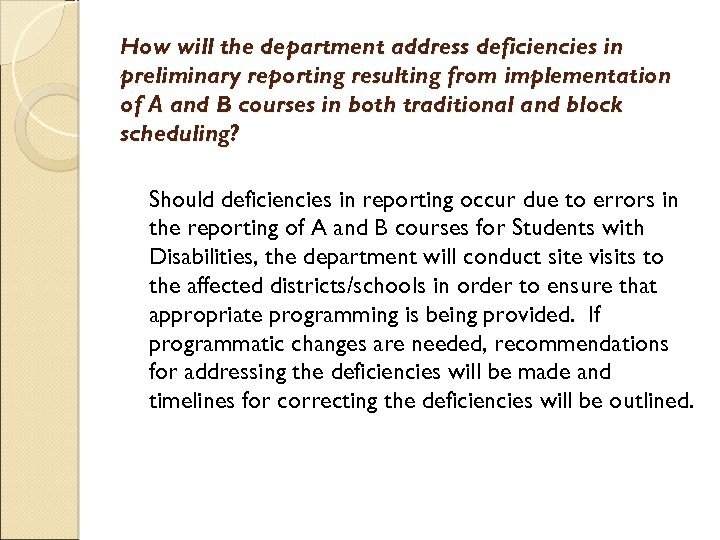 Should deficiencies in reporting occur due to errors in the reporting of A and B courses for Students with Disabilities, the department will conduct site visits to the affected districts/schools in order to ensure that appropriate programming is being provided. If programmatic changes are needed, recommendations for addressing the deficiencies will be made and timelines for correcting the deficiencies will be outlined. 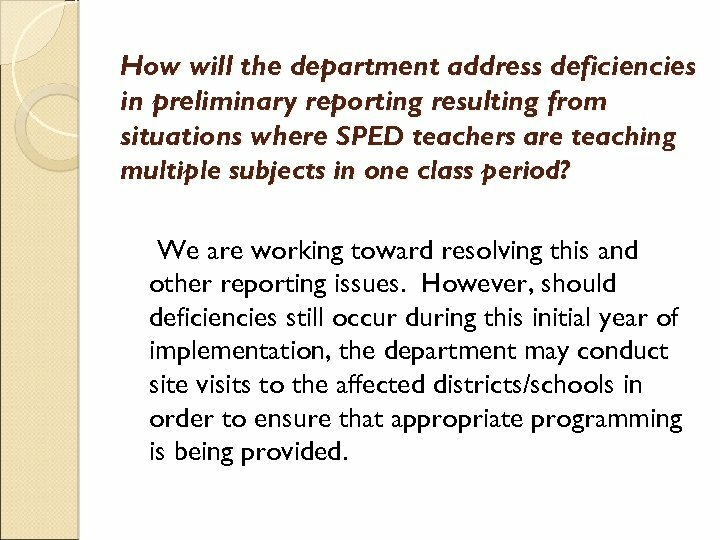 How will the department address deficiencies in preliminary reporting resulting from situations where SPED teachers are teaching multiple subjects in one class period? We are working toward resolving this and other reporting issues. However, should deficiencies still occur during this initial year of implementation, the department may conduct site visits to the affected districts/schools in order to ensure that appropriate programming is being provided. 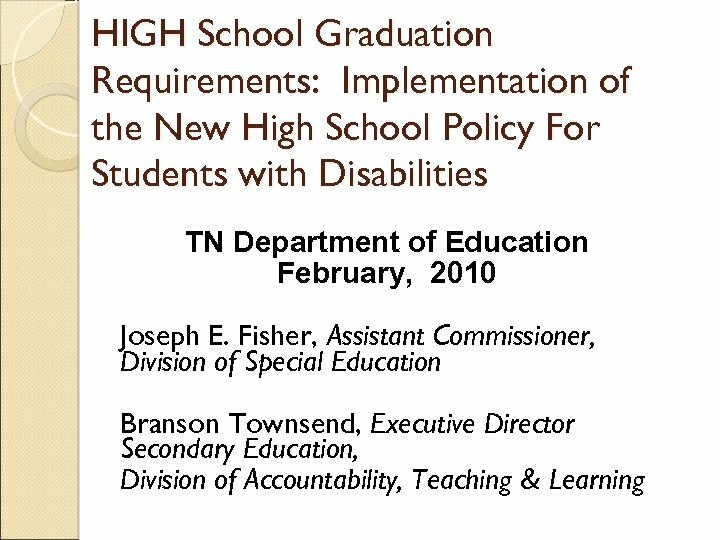 What is the department position regarding school districts/schools that have no Highly Qualified Sped teachers? 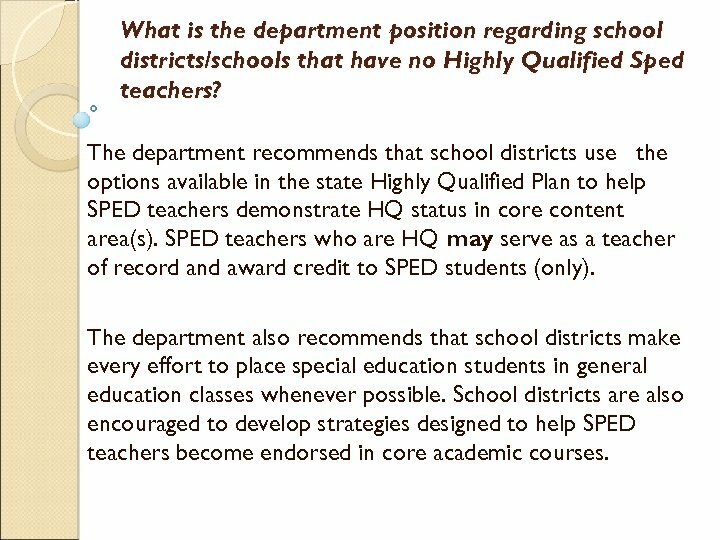 The department recommends that school districts use the options available in the state Highly Qualified Plan to help SPED teachers demonstrate HQ status in core content area(s). 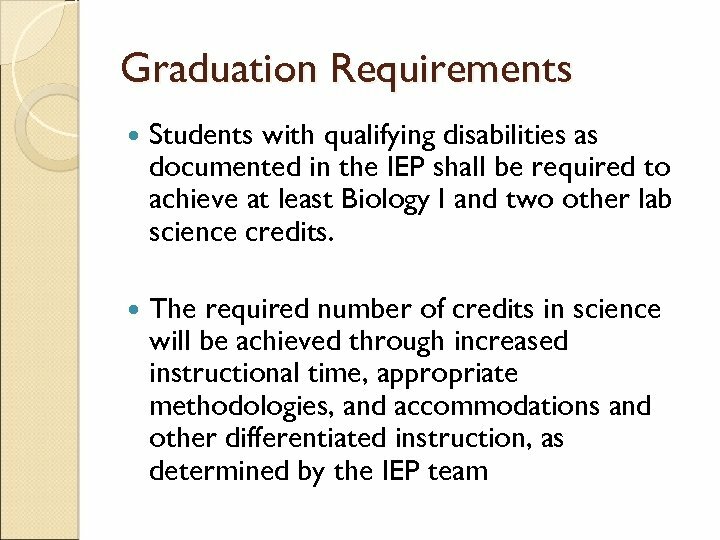 SPED teachers who are HQ may serve as a teacher of record and award credit to SPED students (only). 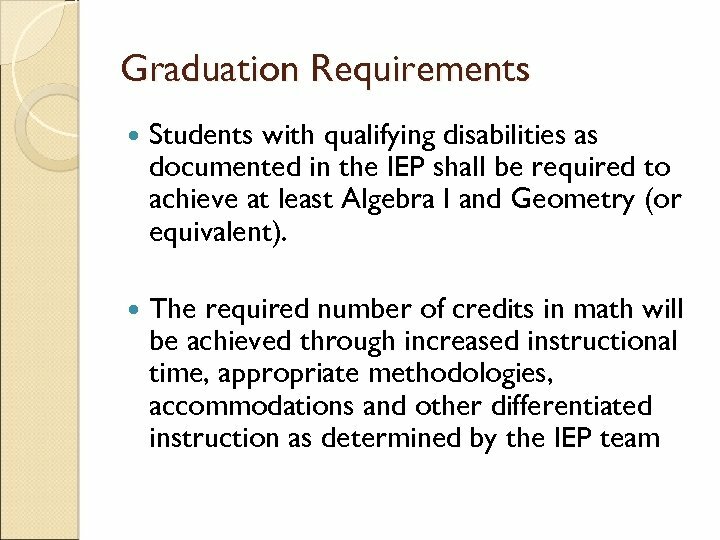 The department also recommends that school districts make every effort to place special education students in general education classes whenever possible. School districts are also encouraged to develop strategies designed to help SPED teachers become endorsed in core academic courses. 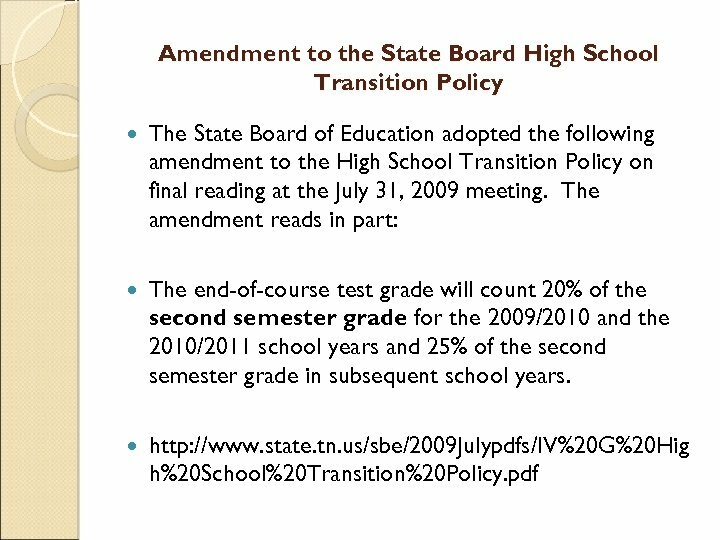 What is the transition plan for the Gateway/EOC assessments? 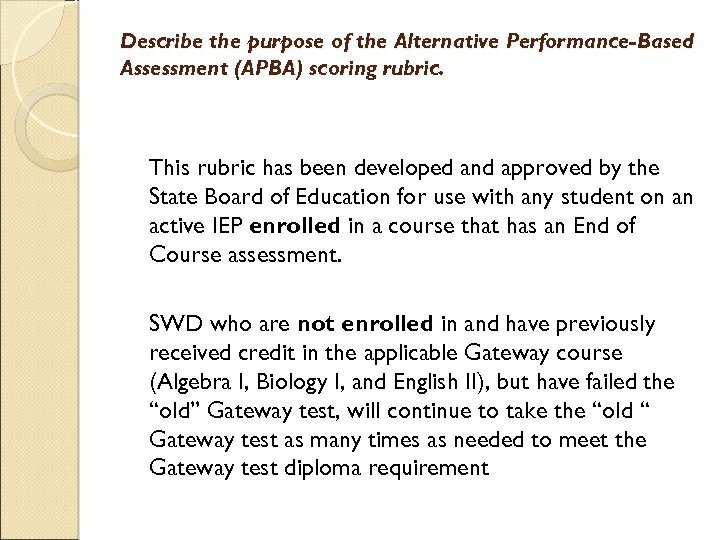 The Gateway assessments will continue to be administered to repeat takers that have not satisfied their diploma requirement by passing the assessment at the proficient or above level. These Repeat Takers would have fulfilled their credit requirement and would no longer be in a class for instruction. These students would continue to have access to an intervention for the Gateway assessments. 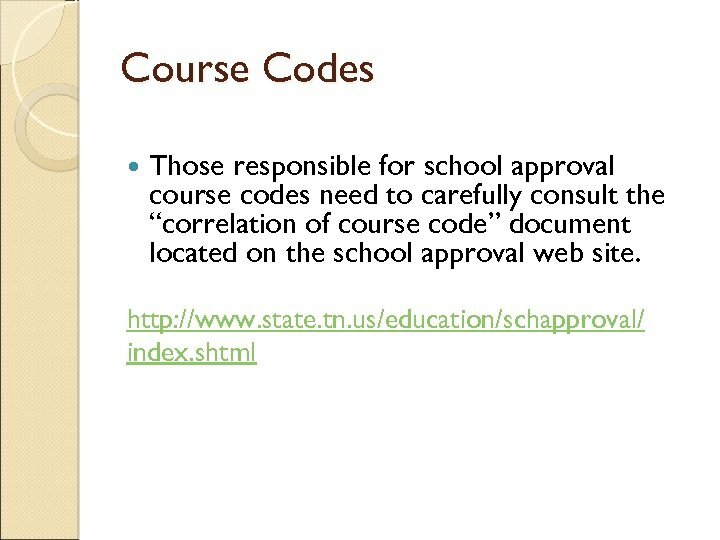 How is the rubric score used and is it reported to the state? 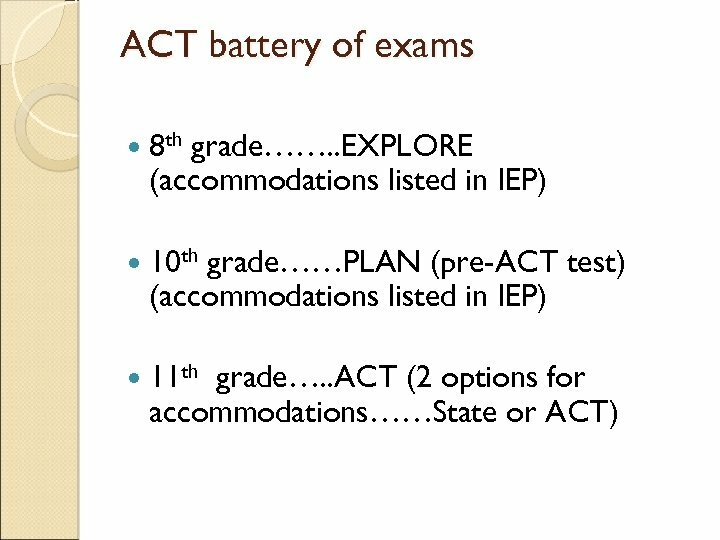 All continuously enrolled 1 st time test takers of the Algebra I, English II and 11 th grade writing assessments will be included in AYP. 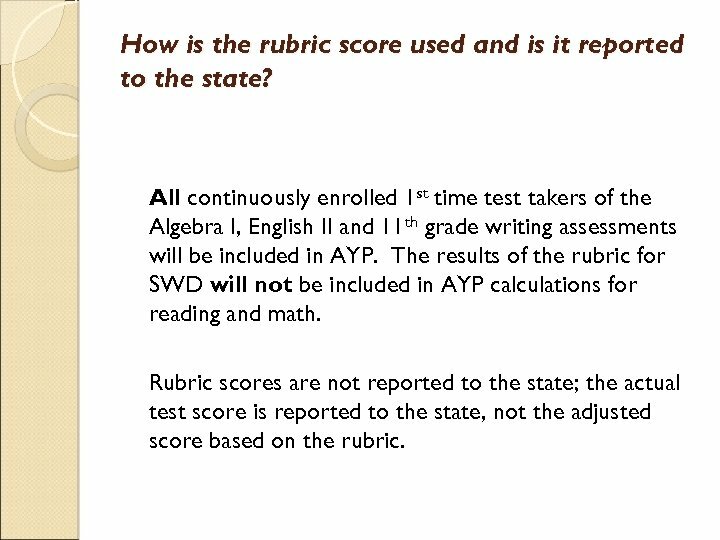 The results of the rubric for SWD will not be included in AYP calculations for reading and math. 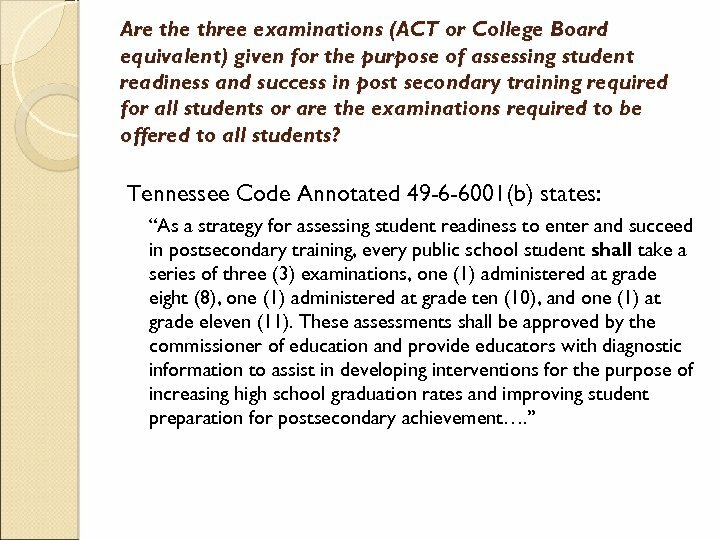 Rubric scores are not reported to the state; the actual test score is reported to the state, not the adjusted score based on the rubric.